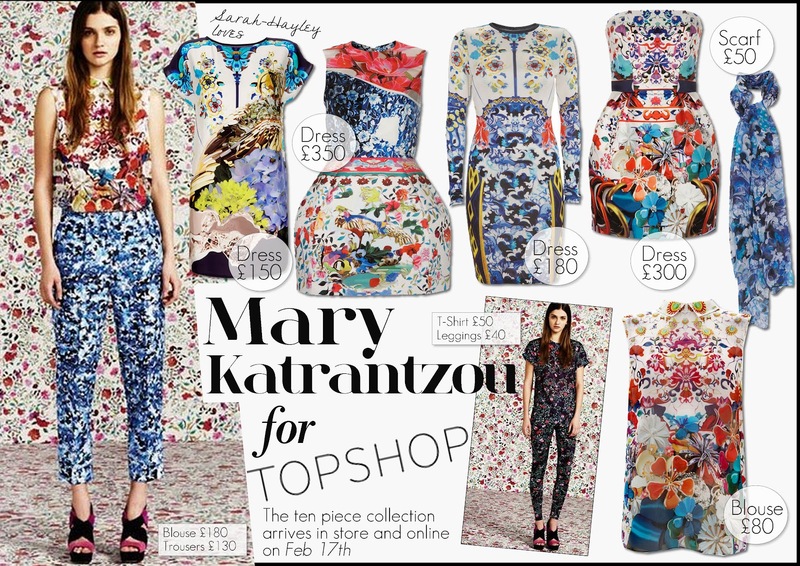 After catching a glimpse of Mary Katrantzou's gorgeous SS12 line for Topshop, I have found it difficult to concentrate on anything else. The ten piece collection will hit stores and online in TWO DAYS TIME! If you want to own one of these desirable printed dresses I certainly suggest camping outside Oxford Street because this will certainly be an event not to miss! I am literally in love with the Silk Printed Shift Dress for £150!! Happy Shopping Ladies!